Speaker Bio: Dawie Wentzel, Head of Cyber Forensics Investigation at Absa Group, is responsible for managing the groups Cyber Forensic Investigations (CFI) function. 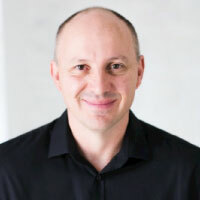 Dawie has more than 20 years of experience working in the Financial Services industry and Law Enforcement environments and is a keen explorer of the latest forensic tools and techniques to optimize incident response, digital forensic investigations, and eDiscovery. Dawie co-established the Cyber Forensic Investigations Lab at Barclays Africa in 2014 and holds a Masters’ degree (MSc) from The University of South Africa (UNISA). Topic Abstract: During this webinar, we will be exploring the latest tools and methods to collect cloud-stored data in accordance with evidentiary requirements. The numerous challenges of legally obtaining cloud-stored electronic evidence and possible solutions will also be discussed.